I just love this greeting die by Avery Elle. There is something about the font and the scale, I ordered it at the end of the holiday season last year so it was one of the first that I grabbed to start my cards! I used StickIt and fun foam with red mirrored cardstock (not sure what the real term is! lol). I also die cut the holly that accompanies the word die in green "mirrored" paper and the berries in red glitter paper. I die cut my panel using one of the Lawn Fawn border dies and I embossed it with my favourite Next Level polka dot embossing folder. I put the card together and finished it off with Pretty Pink Posh sequins! Woot, woot! 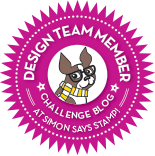 Time for a new Challenge over at the CAS-ual Friday's Challenge blog! This week it is all about girl power! The theme is Fight Like a Girl! I has such fun making this one! 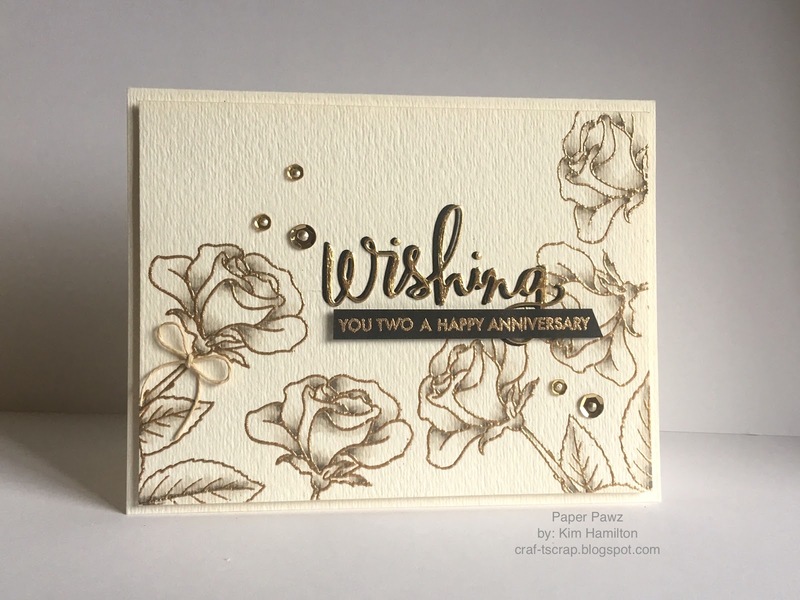 I just love the fonts in the Calling all Sistahs set :) I stamped my background sentiments with Versamark Ink in a repeating pattern and used clear embossing, I then stamped a few in Versafine Onyx black for a punch of color. I then die cut my panel and cut it so it would sit at an angle on the card base. 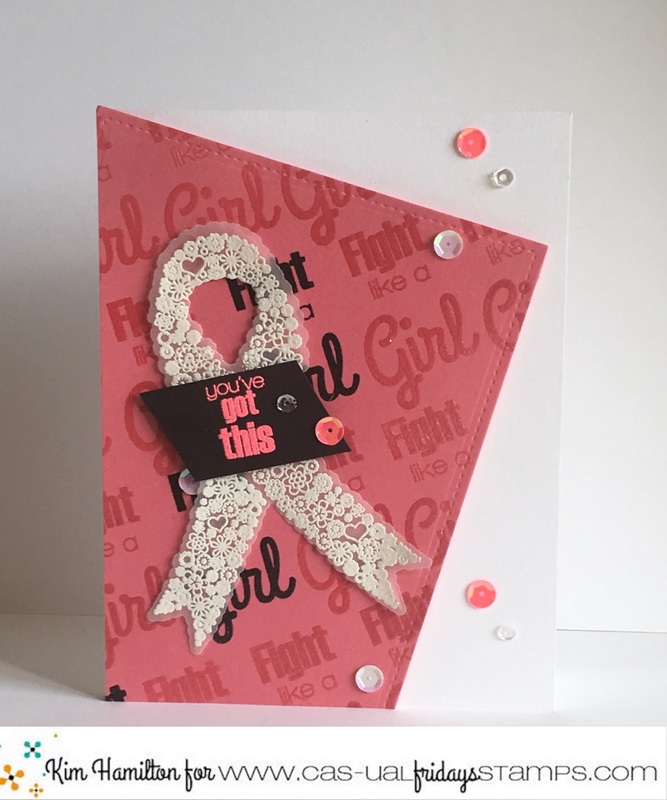 I used vellum and white embossing for the Ruffled Ribbon (Hope Ribbon stamp set) and I topped it off with the "You've got this" sentiment. I then scattered some sequins around the angled panel. Altenew Birthday for a dear friend! 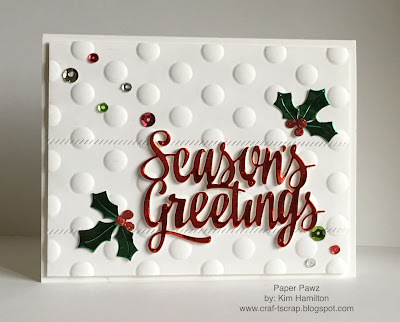 I used my Misti for all the stamping, really is the best tool ever! I started with the Altenew Halftone Happy and the Vintage Flowers stamp sets along with the inks in Cool Berry, Ruby Red, Warm Sunshine and Caramel Toffee also by Altenew. The black ink is Versafine Black Onyx (my favourite black ink) and I topped it all off with some Pretty Pink Posh sequins. 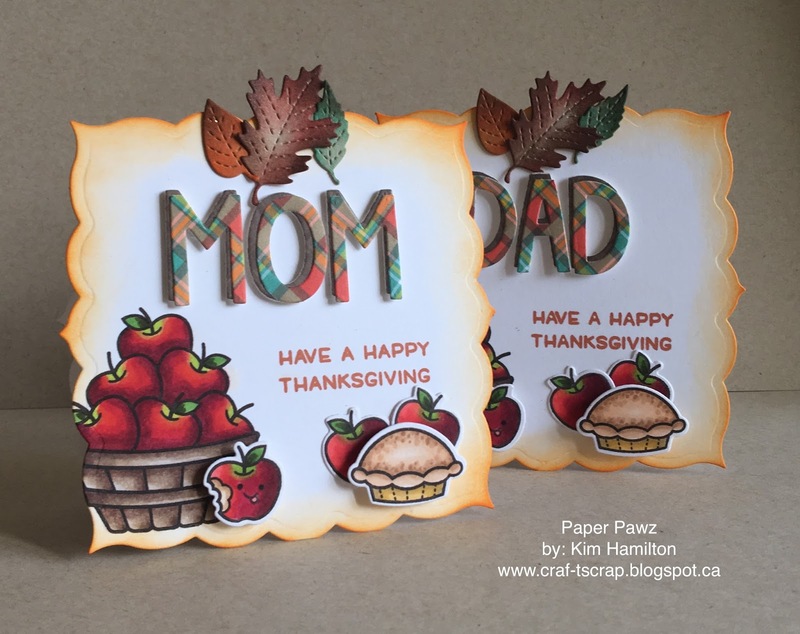 Just a quick post to share the nameplates I made for Thanksgiving supper. Canadian Thanksgiving was yesterday (my favourite long-weekend of the year) and I made a bunch of these for our family supper. I seem to always turn to Lawn Fawn products for projects like these! I die cut the base with an older Spellbinder die and then stamped the apple basket from Thanks a Bushell and the sentiment from cutie pie using my Misti. I then stamped a series of apples also from Thanks a Bushel and the Pie from Cutie Pie. I Copic coloured all of my images and then die cut my letters from the Lawn Fawn Finley's ABCs using Perfectly Plaid papers. I put everything together and finished them off with a few stitched leaves on Kraft with some Distress Inks. Thanks for taking the time! For those of you who celebrated I hope you had a wonderful Thanksgiving! CASual Friday's - New Challenge 1 in 8! 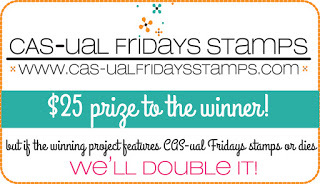 Time for another challenge over at the CAS-ual Friday's Challenge blog! October is breast cancer awareness month and for those of you who know CAS-ual Friday's and its' owner Michele Gross you will know that she is a breast cancer survivor! She also released this wonderful line of stamps "Calling all Sistahs" to raise awareness and encourage women to have regular check-ups. October being breast cancer awareness month well, expect to see lots o' pink and that is just how it should be! The challenge is 1 in 8 as the statistic is that 1 in 8 women will go through this in their lifetime. My 8 on this card is hope, because we should all have hope for health, for a cure and hope to put an end to all cancers. 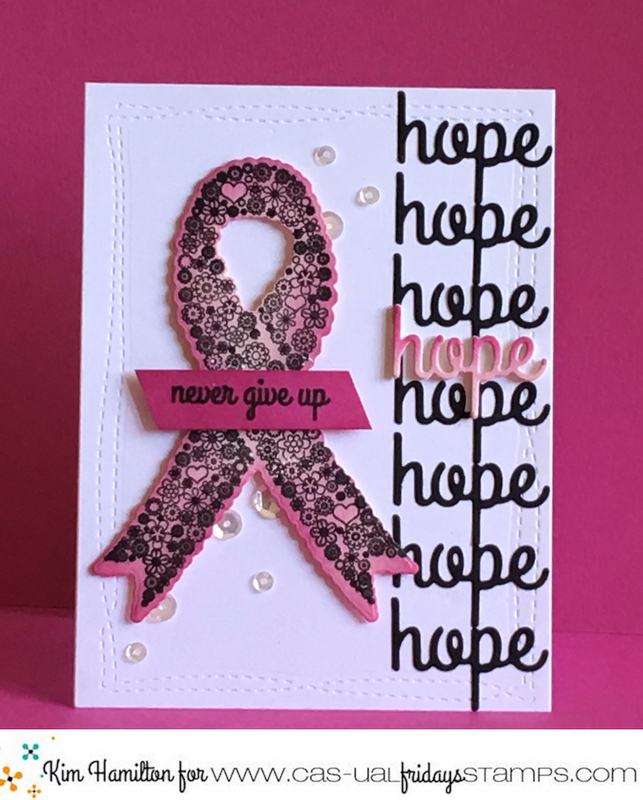 I used the Hope Ribbon stamp set and the Fri-die along with the Hope Fri-die. I die cut seven black and one white Hope on which I used Picked Raspberry Distress Ink with an ombré effect. 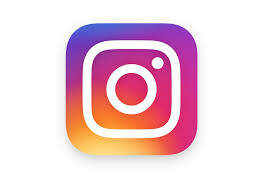 I used the same ink on the ribbon but the cardstock is a pale pink. 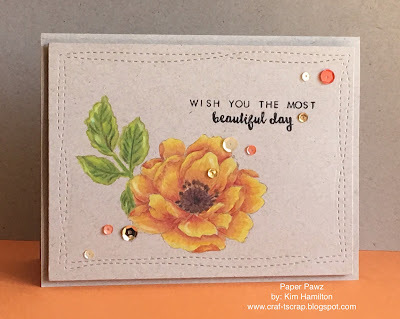 A quick post today to share a card I made using Altenew stamps on Kraft Paper with my Prismacolor Pencils. This is one of my favourite combinations for flowers. There is something about Prismacolour Pencils and Kraft paper that make me happy! I am not usually a "Yellow or Orange" kind of person but with fall here I felt this mix was just right. 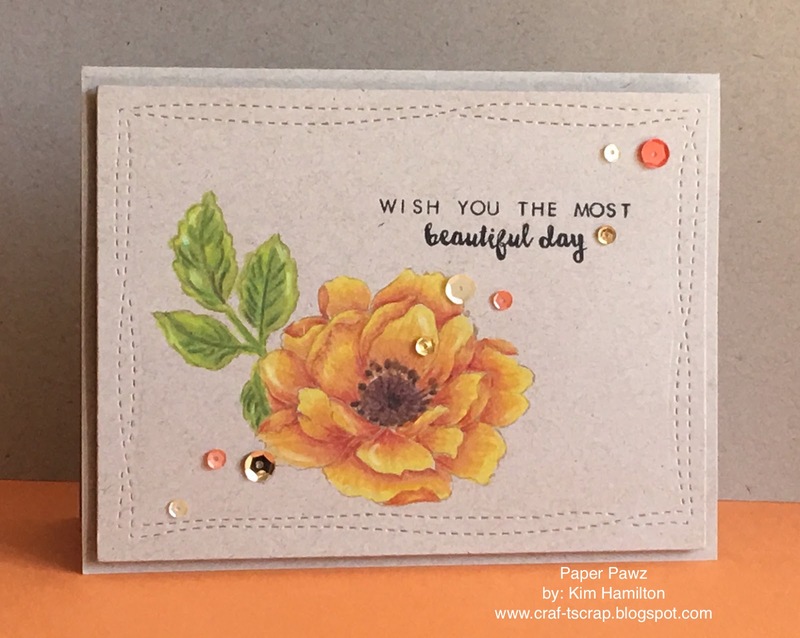 I used MFT Kraft coloured hybrid ink and the Altenew Beautiful Day stamp set. I also usually use gamsol with my Prismacolors but I picked up the blender that is manufactured by Prismacolor (go figure I bought the big momma 150 set and they don't provide the blender... but that would be my only comment about my Prismacolor pencils :) The die cut frame is by Avery Elle and if you follow my blog, you know that it is pretty much my favourite. The sentiment is also from the same Altenew stamp set and I stamped that in Versafine Onyx Black Ink. I finished off the card with a mix of Pretty Pink Posh sequins. Just popping in to share a card that my Mom asked me to make for family friends that are celebrating the big 50th wedding anniversary! 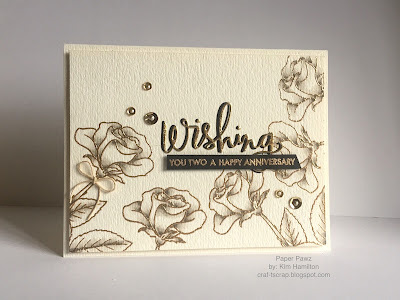 Gold is the colour for a 50th anniversary and I wanted to keep the card classy so I opted to gold emboss my flowers that are from Hero Arts Marianne's Flowers stamp set. 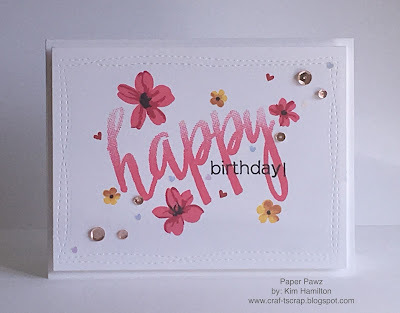 I really didn't need watercolour paper but I just love the texture, so to stamp my flowers I used my Misti to be able to get good coverage with the Versafine ink. I then decided to add a little shading with my Copics to the flowers to give them a little dimension and life. The die cut sentiment is by Simon Says stamp that I cut twice, once in black and the second time with gold paper. I glues the two with Stick It (offset to see the shadow). The smaller sentiment is from Avery Elle and I simply gold embossed it. Finished it all off with some Pretty Pink Posh sequins in gold and a little twine on the flower to the far left.